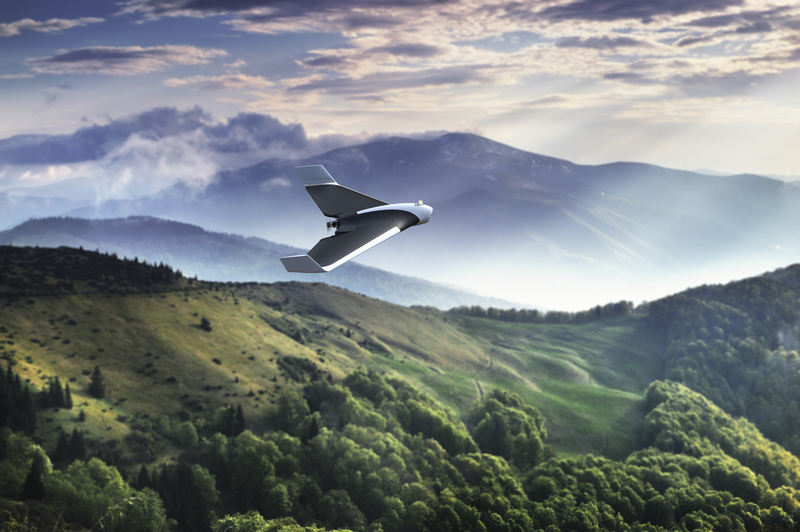 Tech Storm | The Arrival of The Super Drones…! A massive crowd gathered around the open air field of the Asian Civilizations Museum in Singapore. What is the excitement all about? It is the inaugural launch of Parrot’s newest series of outdoor drones, or super drones as we like to call them. 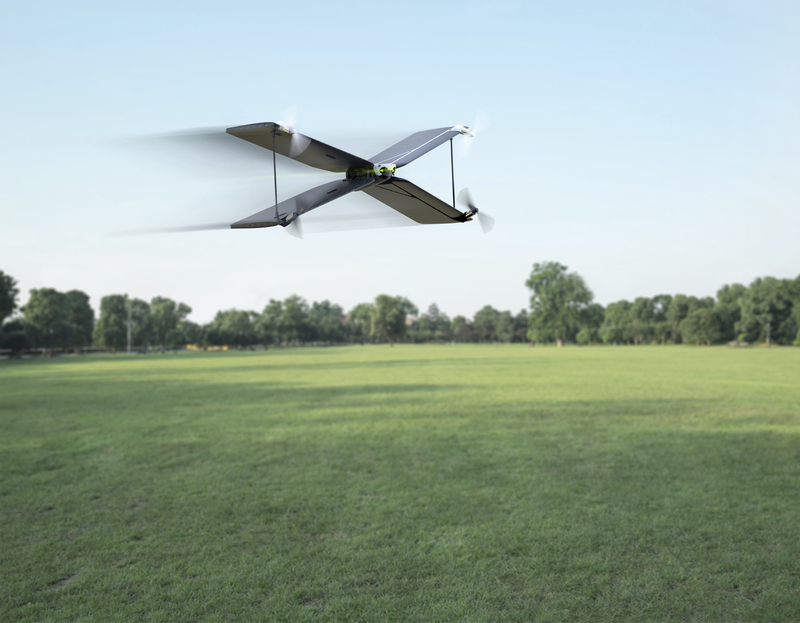 We are there for a close-up, first hand review of these cool, well designed flying machines. Parrot has brought a line-up of their latest and most advanced drones to show off their capabilities and allow members of the media to test fly the drones and experience the sensation of flying through their new cockpit goggles. The Disco pictured above, is a fixed-wing drone launched by throwing it into the air by hand. Once thrown, it will automatically ascend to a pre-determined height before orbiting the target area. An on-board computer named C.H.U.C.K, (Control Hub and Universal Computer Kit) that runs real-time algorithms, altimeter gyroscope and sensors will maintain its flight. Capable of 45 minutes of flight time, a top speed of 80 km/hr, Parrot says Disco will be great for recording birds-eye footage with its High-Definition camera. 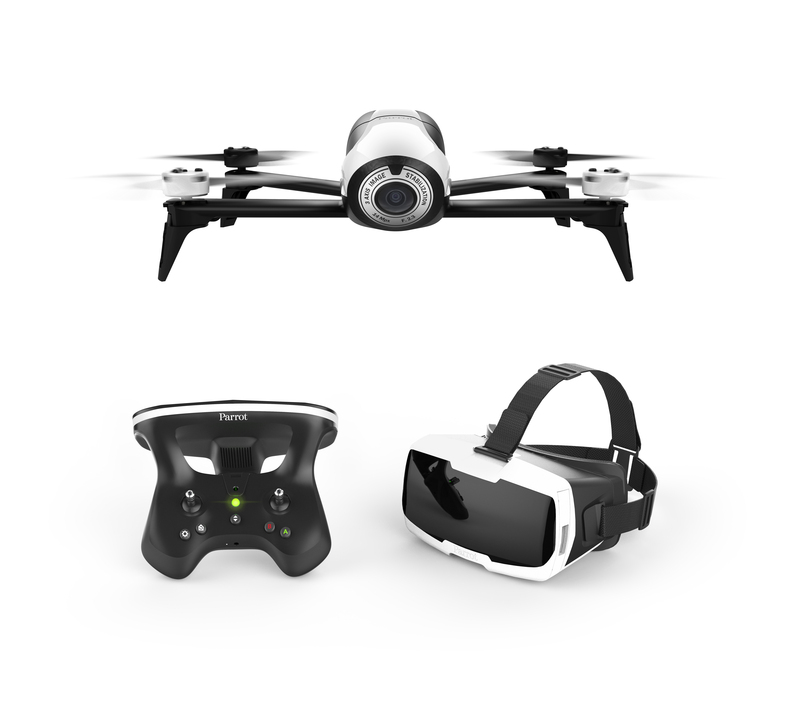 The Bebop 2, pictured above with Parrot’s Cockpit goggles and the Sky Controller 2, is described as a leisure drone coupled with the ability to also capture quality images in flight. Constructed with a robust fibreglass frame, the Bebop is capable of 25-minutes of flight and equipped with a high definition camera. 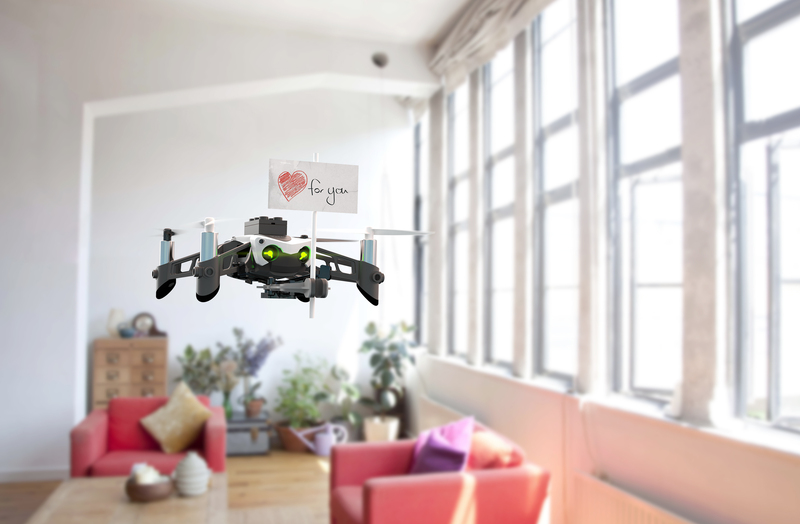 Built in safety measures such as an automatic cut-off feature, automatic controlled descent if signal to the controller is lost and intuitive controls make this a great drone for beginners. I can personally attest to that since it was the first time I’ve ever flown a drone and I literally picked it up and started flying with no guidance or instruction and I reluctantly relinquished the controller once my allotted time was up. At a much lower price point than their super-drone counterparts, The Parrot Mambo and Swing (from left to right) are designed for casual drone flyers and for children. The Mambo has an attachable cannon to fire pellets and Parrot hopes to draw children away from computer games to flying drones outdoors. Putting on the goggles and piloting the drone was a great experience as it really imparted a sense of motion as you zip through the air with the controller. I found that I had to sit down as that sense of motion clashed with the knowledge that I was standing still. With the video captured at 1080p and streamed at 720p to the goggles with a field of view of 90 degrees, the quality of the video was decent without any motion sickness felt by me. 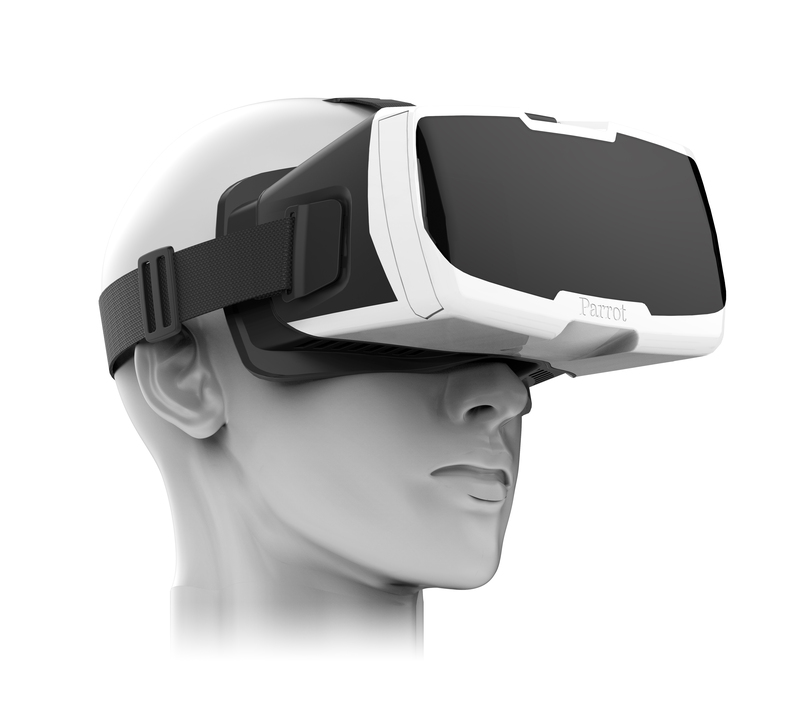 The goggles are designed to be compatible with most modern smartphones and comes with adjustable straps to ensure a comfortable fit for most. 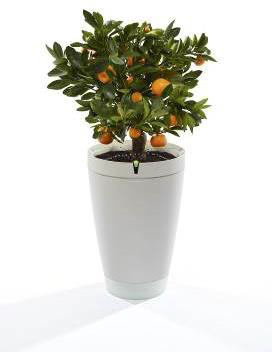 Parrot, the European company best known and remembered for their Parrot Zik headphones, indoor and outdoor drones has expanded into the domestic home space with, guess what a smart pot that will water your plants for you. The drones are undeniably fun to fly. But, there are already many different models of drones available on the market today. While the cockpit goggles are a nice differentiation and really adds an exhilarating sense of flying, consumers have to be prepared to shell out the handsome price tag of at least US$1,020 (SG$1,400) to bring one of these babies home.